Prime Accounting Services, LLC provides bookkeeping, tax return preparation and IRS representation to individuals and small businesses. Prime Accounting Services was started to assist small businesses with the many financial issues they encounter. This is in addition to preparing personal federal and state income tax returns. 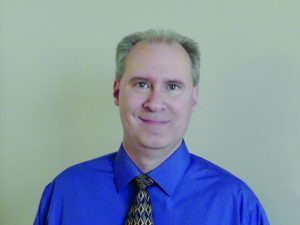 As an Enrolled Agent for the IRS, you can feel confident that Tom Strauss will be able to handle your particular tax situation, including helping you with resolving back tax issues and dealing with the IRS. When you are ready to learn more about how you can be helped, please feel free to contact Tom Strauss. 2) How did you come to faith in Christ? There was this girl I wanted to get to know, and early on I discovered she was a Christian. I decided that to really know her, I had to understand her faith. The process of learning about the faith she displayed was my own personal journey of encountering and, eventually, accepting Jesus as my Lord and Savior. Oh, Sherry and I did get married, in July of 1998! 3) How does your faith impact the way you do business? My current and potential clients are my mission field. The way I interact with them can have an eternal impact on their lives. I try to treat everyone as Christ has treated me: with love, as a servant, willing to put their needs ahead of mine. Every client is a person, loved by God. To Him, every one of them has immeasurable worth. I strive to view them the same way, as a unique child of God, rather than just a client paying for my services. 4) Please share a story where you saw God move in your business, or impacted a customer. Just a few years ago, I was working my business on a part-time basis while holding down a full-time job. My business grew, by word of mouth, each year. Two years ago, it had gotten to the point where I wouldn’t be able to accept any more clients and continue working full-time. I asked God to give me some direction; I wanted to be an entrepreneur but wasn’t sure that’s what He had planned for me. Well, He answered by taking away my job! And ever since, my business has thrived. I had prepared myself with all the necessary training in tax preparation, and when He saw that I was ready, He made it happen for me! What an awesome God we serve!